Nonalcoholic mixed drinks can be just as exciting and refreshing as any cocktail. There are many ways you can mix up juices, sodas, and syrups to create invigorating beverages that everyone can enjoy. Among them are favorites like the Shirley Temple and Arnold Palmer. You'll also find tropical delights, steaming warmers, and mocktails worthy of dinner parties. Whatever the occasion, from a casual afternoon to a party with the kids, you'll love exploring these virgin drink recipes. Arguably the best-known of all the virgin drinks, there is no big secret to making a great Arnold Palmer. 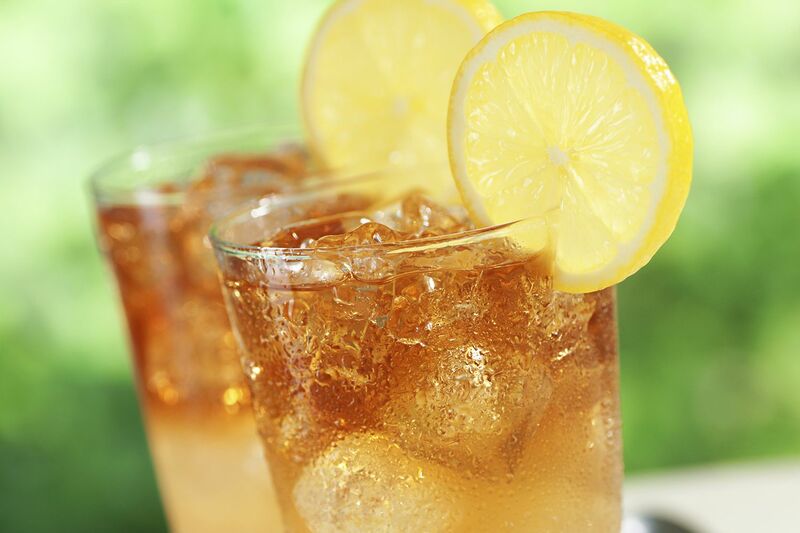 Created by and named for the famous golfer, this refreshing drink is nothing more than iced tea and lemonade. Though it may be simple, there are ways to enhance the base and even give it a fresh new spin. ​At nearly any restaurant or bar in the U.S., you should be able to order a Shirley Temple. It's a favorite for kids and adults alike and there's no need to wait for your next night out to enjoy this semi-sweet old-fashioned soda. All you need is grenadine, ​lemon-lime soda, and ginger ale! When you're in the mood for a fruity cola on a warm afternoon, skip the cherry colas at the store. Instead, mix up another old-time favorite and enjoy the Roy Rogers. Though it's sometimes called a cherry cola, it's actually flavored with grenadine, a pomegranate syrup, and allows you to use your favorite cola. Cool, refreshing, and not too sweet, it's hard to beat the crisp taste of a lime rickey. Essentially, this recipe shows you how to make a lime-flavored soda from scratch, using fresh lime juice, simple syrup, and seltzer. It's fantastic and inspiration for any other flavored soda you would want to mix up. In the morning, you can start your day off right with a freshly prepared virgin Mary. It has all the great vitamins and spice of the bloody Mary, without the vodka! You can develop your own special recipe, so it's exactly how you like it and it's perfect for any time you need some quick energy. In a similar fashion, the sweet sunrise is an excellent breakfast, brunch, or afternoon drink that skips the liquor of a very popular cocktail. Also called the virgin sunrise, it is nothing more than a tequila sunrise, hold the tequila. Grenadine adds a great contrast to fresh-squeezed orange juice, giving it the ideal amount of sweetness. The Bellini is a popular choice when you're hosting a fancier brunch. This Champagne cocktail can also be transformed into an innocent beverage without losing any of the taste. When you switch the wine out for a sparkling cider, you have the baby Bellini. It's a fantastic peach-flavored drink everyone will love. In the dead of winter, you'll want a steaming cup to warm you up. That's where the hot not toddy comes into play. It skips the liquors traditionally used in toddies, opting for freshly brewed tea, lemon juice, and an array of warming spices instead. It's also a great comfort when you're feeling under the weather. Appletinis are great and you can even enjoy one when you're the night's designated driver! The designated appletini is a simple twist on the favorite vodka martini, shaking apple juice with lemon juice and simple syrup. Serve it in a cocktail glass, enjoy the party just like everyone else, and feel good about getting everyone home safe. A simply lovely mocktail, the preggie provençe is an ideal choice for any spring or summer dinner party, shower, or brunch. It pairs fresh rosemary, lavender, and grapes with lemonade and a fantastic lavender soda. Light, refreshing, and with a delightful floral flavor, you can't go wrong with this one. The sundowner is a wonderful last-minute choice for any occasion. All you need is white grape juice and sparkling water with a little mint. Its light, sparkling flavor is very reminiscent of a sparkling wine. You can make it by the glass or pitcher, depending on how many people you're serving. When it comes to holiday entertaining, some of the best drinks take advantage of the fruits that come into season during the winter. Among the best of those is pomegranate and the holiday pomegranate mojito puts those juicy little seeds to good use. It skips the mojito's rum, but keeps the mint and lime, adding pomegranate juice and lemonade for a very fun mocktail. A simple twist on the virgin sunrise, this recipe switches from orange to peach juice. Not only that, the sparkling peach sunrise tops the drink with lemon-lime soda to give it an airier touch. You get the same visual effect as any sunrise drink, it just comes with a unique flavor. 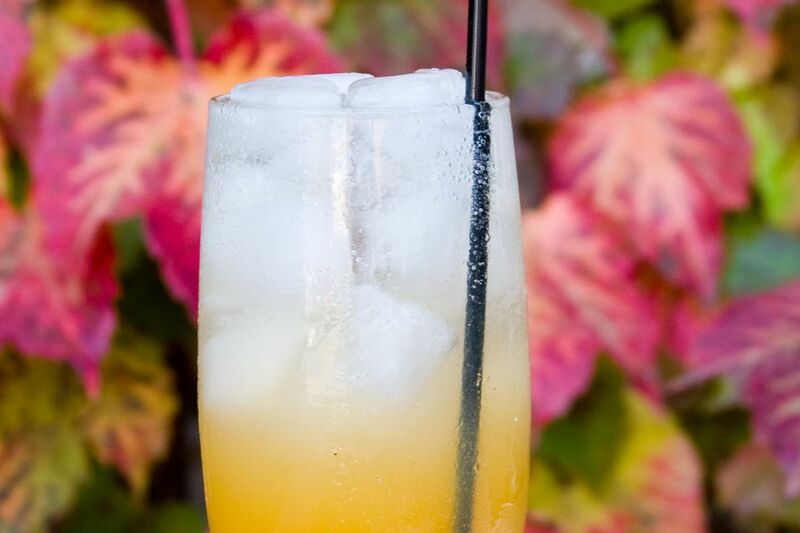 This drink may have been inspired by a beautiful autumn day, but it's perfect year-round. The autumnal temptations is a fun mix of apricot nectar, grapefruit juice, and lavender soda. The taste is invigorating and sure to please kids and adults equally. As lovely and innocent as its namesake, the Cinderella is a sweet, fruity drink that has a wonderful flavor. This recipe combines equal parts lemon, orange, and pineapple juices with a little grenadine for sweetness. Top this off with ginger ale and a sparkling beverage is yours to enjoy. Straight out of a swinging 1960s movie, the beach blanket bingo is sure to be a hit at any gathering. It's even one you can mix up and take with you to the beach! All you need is grapefruit and cranberry juices along with soda. Homemade lemonade and limeade come together in the super refreshing green lemonade recipe. It's even more tempting when you discover that it features fresh kiwi as well! Easy to mix up, this is ​a tasty green drink you'll want by your side on a hot summer day. In the mood for a tropical mocktail? You could go with a nonalcoholic frozen piña colada or skip the blender and shake up the coconut key lime momtini. The latter is ideal for a baby shower and was designed with moms-to-be in mind. It's a fun mix of limeade, coconut milk, and key lime. Served in a cocktail glass (or coconut shell), it's a fun way to celebrate any event. There will be days when you need a soothing drink to help you warm up in the winter. The sweet Adeline is a perfect choice and it takes your average cup of tea to a new level. For this one, you'll steep an orange-spice black tea blend into a hot mix of pomegranate juice and cinnamon syrup. "Harry Potter" fans will recognize the name butterbeer and you'll be delighted at how easy it is to make it at home! This recipe brings the imaginary drink to life. It creates a spiced cream and butterscotch batter that is topped with vanilla cream soda. Serve it hot or cold, it's yummy either way.